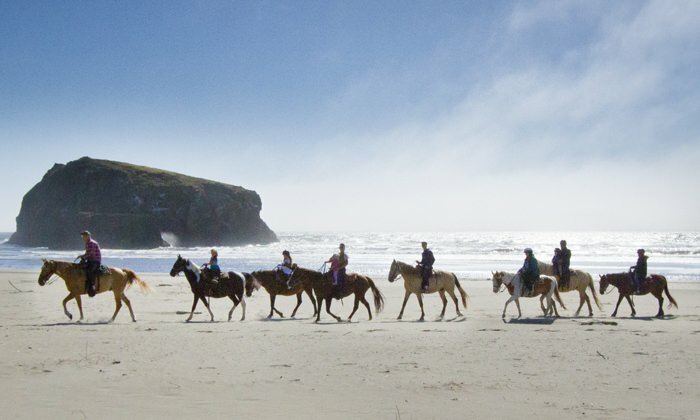 Saddle up a horse at Bandon Beach Riding Stables, then weave through sand stacks and absorb the majestic ocean view. Walk to the dock and enjoy the summer season’s Bandon Boardwalk Art Show, a community collaboration displaying local talents. Check the tides, rent a crab pot, buy a license, and fill your pot with bait to convince a big Dungeness crab to become your dinner. Tony’s Crab Shack offers daily fishing licenses, boat rentals, crab gear rentals and advice to anyone who walks in the door. Bandon by the sea is a coastal town filled with adventure, fresh seafood caught in the ocean view and memories to last a lifetime. Start your day saddling up a horse at Bandon Beach Riding Stables. Family owned and operated since 1979, the stables have provided guided tours to visitors while on horseback of Bandon’s most majestic beaches. Weave through sand stacks and absorb the ocean view just as settlers did when arriving years ago. After exploring a few miles of the best beaches in the area, mosey on down to Old Town Bandon where you will find the boardwalk, the fishing dock and your activity destination: Tony’s Crab Shack. Fully equipped for almost any ocean fishing adventure, the Crab Shack and restaurant offer daily fishing licenses, boat rentals, crab gear rentals and advice to anyone who walks in the door. The restaurant side provides a unique eatery serving only the freshest local seafood without deep frying, and Tony’s takes an exciting twist on classically known seafood cuisine. Check the tides, rent a crab pot, buy a license and fill your pot with bait to convince a big Dungeness crab to become your dinner. 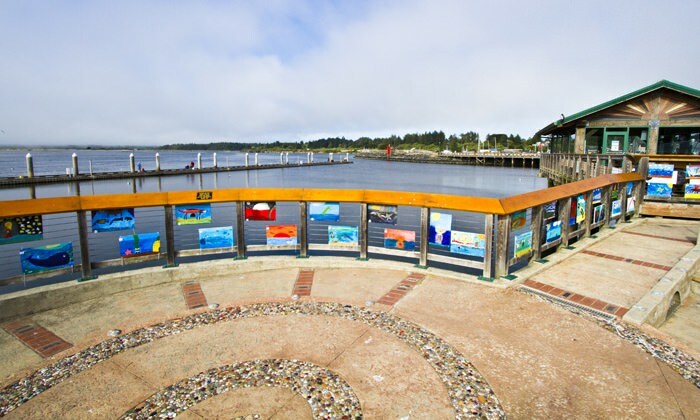 Walk to the dock and on the way enjoy the summer season’s Bandon Boardwalk Art Show, a community collaboration displaying local artistic talents. When you’ve found the perfect spot on the dock, throw in your pot, don’t forget to tie it off, and wish it well while you enjoy the rest Old Town has to offer! Walk back down the boardwalk and you will find the Loft Restaurant & Bar, a local favorite providing one of the best deli dining experiences in Bandon. With deli specials changing often, grab a premium panini, a fresh loaf of bread, artisan cheese, local Oregon wine, a specialty salad with home-made dressing or a delectable dessert. For a nice break from the wind, bring your lunch to the warm and beautiful glass enclosed dining pavilion still on the boardwalk filled with an array of hand-carved benches, tables and memorials. Take a stroll to 2nd street where you can begin shopping for local goodies and must haves. Make sure to visit the 2nd street gallery which displays and represents 150 different artists and crafters from the Pacific NorthWest. Indulge your senses in Coastal Mist Chocolate Boutique. You will find a stunning variety of the highest quality hand-made artisan chocolates and luxurious desserts on the coast. Wander into WinterRiver Books, a grand gift and book shop independently owned for over 25 years and unlike any other. Take a blast into the past at Bandon Sweets & Treats, a classic candy shop filled to the brim with every kids (or kid at heart) favorite candy. Swing into The Toy Room for a kite to catch the wind. Or everlasting bubbles to dance on the beach with. The Toy Room has a large selection of fun toys and gags for all ages! When dusk settles on the horizon race back to the dock and slowly pull the crab pot from the depths of the sea. As you pull, imagine fishermen doing this day and night out on the ocean providing crab to seafood enthusiasts everywhere. If your crab pot is full, make sure the crab you keep are males and that they meet size requirements. 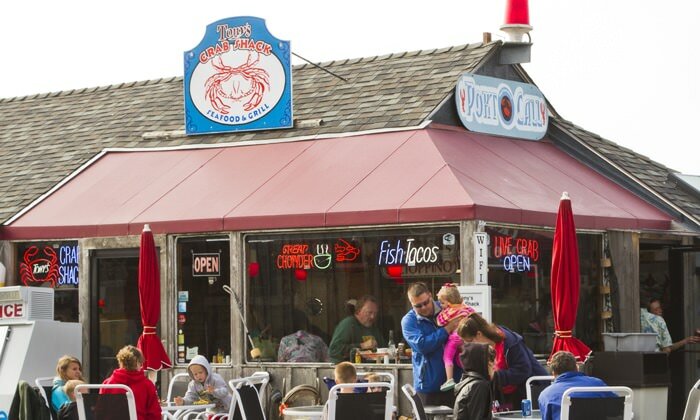 With a lucky catch, Tony’s Crab Shack will cook, clean, and serve your fresh bounty to you in the restaurant. 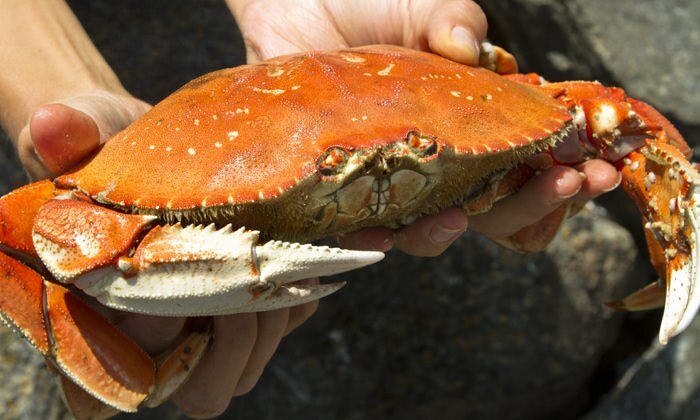 Maybe take your freshly caught crab with a side of warming, creamy clam chowder, or an Oregon local draft beer. If your really hungry try a house specialty like the smoked salmon alfredo. The locally caught salmon is smoked in-house and served over fresh linguine in a rich Alfredo sauce with warm ciabatta bread. Enjoy your catch of the day and experience the sun settle into the Pacific Ocean or the fog roll over the waves into the night, and cherish the day you experienced some of the best Bandon has to offer. Outdoor enthusiast Emma Jones has lived on the southern Oregon Coast for most of her life. She learned her trade at the Academy of Art University in San Francisco and has traveled throughout the U.S. and parts of Europe photographing and writing about her experiences. 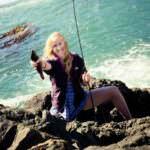 Emma is a freelance reporter, photographer, and a contributor to Coast Explorer magazine. She uses the coastal landscape to fuel her creativity, and knows (just about) everything the southern Coast has to offer.